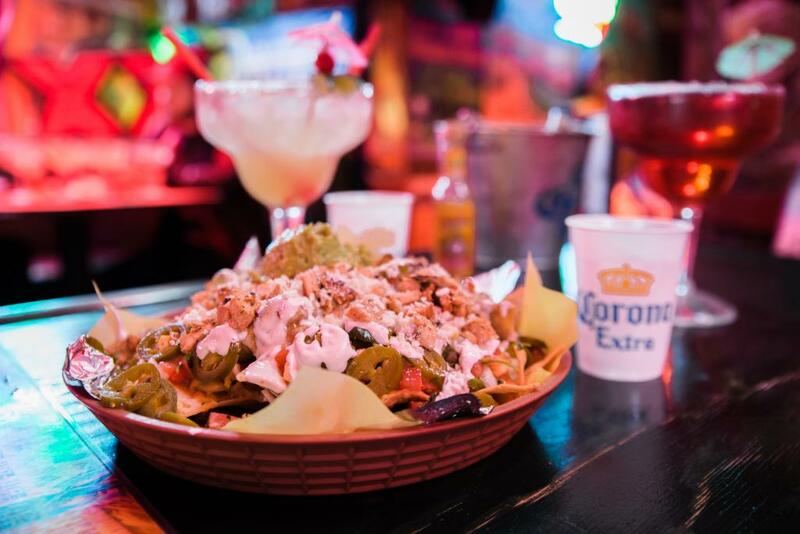 Cabo Cantina is not the kind of place one goes for authentic Mexican food, but it is authentically itself—an unreformed, retro-tinged spot, where the margaritas come in fishbowl-sized goblets, Bon Jovi is still on the playlist, and light comes from the glow of kitschy neon lights. It’s known as a popular place for buying a first legal drink on 21st birthdays. Oh, and it might be haunted. 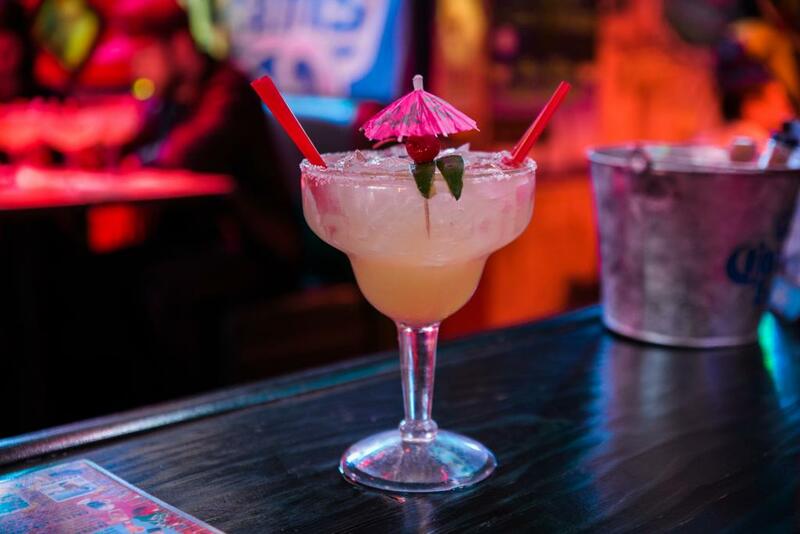 There are now seven Cabo Cantinas spread around Southern California, but the mini-chain is best known for the location on Sunset Boulevard, tucked right into the shadow of the Chateau Marmont in the midst of the old Sunset Strip. Cooks who work in Cabo Cantina’s kitchen have been known to spread rumors about spooky encounters with ghosts hanging around with unfinished mid-century business. It’s not clear if those restless spirits are supposed to be members of the cult itself or maybe the ghosts of the many rock stars and Hollywood types that frequented the cafe. After the Source Family’s leader, Father Yob, died in a hang-gliding accident, the building was sold. Urban legend says the buyer was Fabio Lanzoni (yes, that Fabio, from the margarine commercial), and, while this author desperately wants that story to be true, actual corroboration has not been forthcoming. 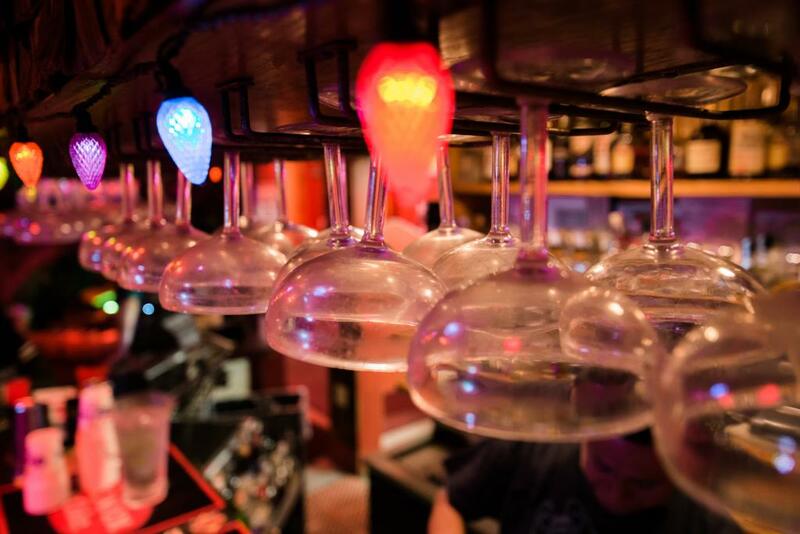 Either way, it eventually changed hands again and became the tequila-soaked bar it’s been ever since. 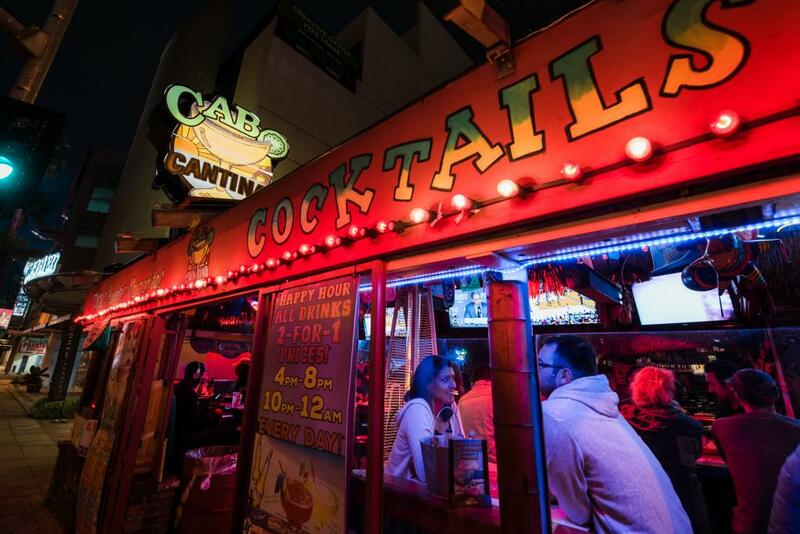 While it might be a little quieter now than when college kids, comedians, and other rowdy Sunset Strip dwellers all piled in together for 36-ounce margaritas, there is one day of the year when you can rest assured that Cabo Cantina will be packed: Cinco de Mayo. 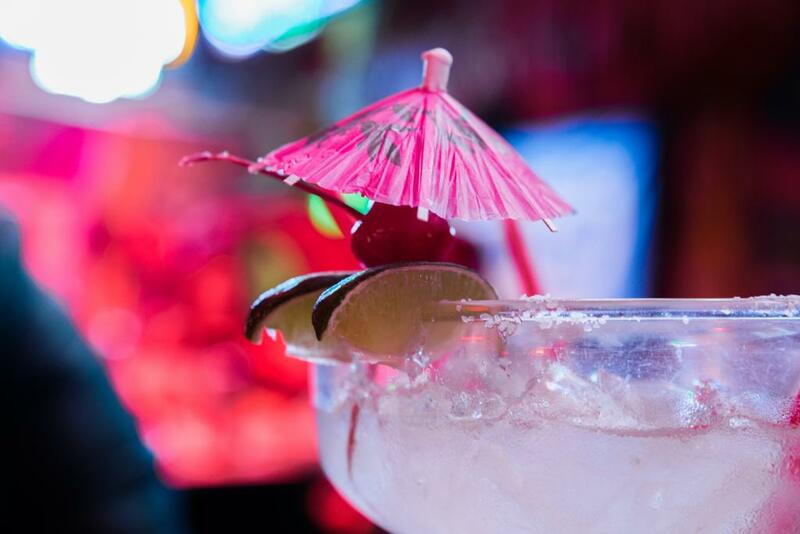 It’s always the biggest day of the year for the bar—Witte estimates an easy three-fold increase in business over any other night—but this year the celebration falls on a Saturday, and they are pulling out all the stops. The doors will swing open at 10 a.m. and early birds will be treated to 99-cent drink specials. The so-called “mega margs” on which the bar has built its reputation will flow into the night. 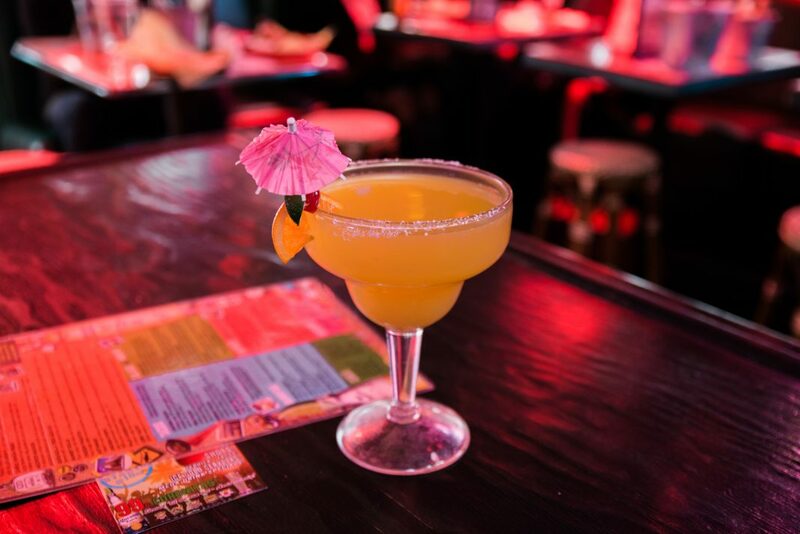 All told, Cabo Cantina will go through some 500 cases of tequila in a single day. 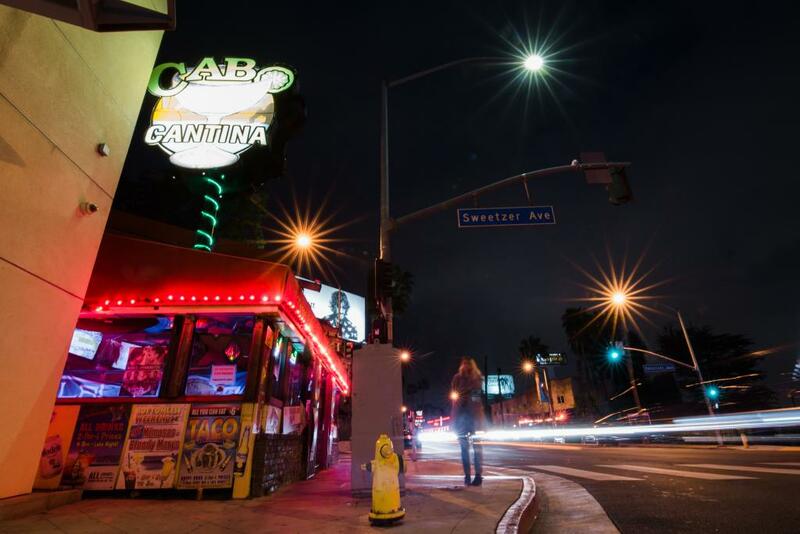 Cabo Cantina is located at 8301 W. Sunset Blvd., West Hollywood. Additional locations can be found online. RELATED: What the Hell Goes Into a $100 Margarita?